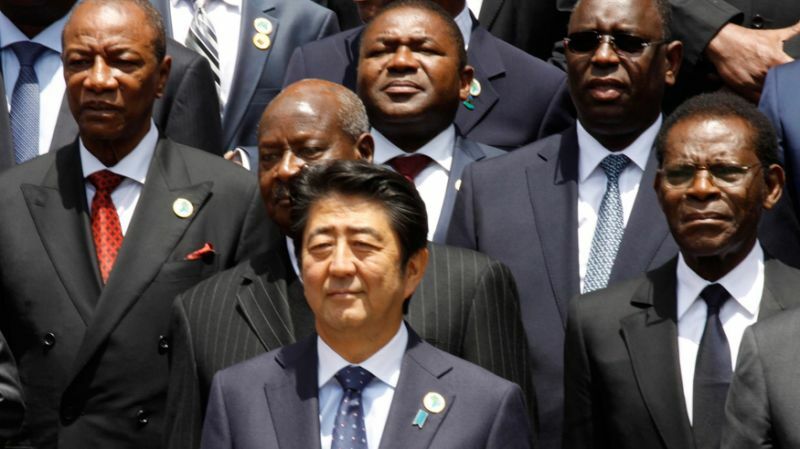 NAIROBI, Kenya, August 27, 2016 (Al Jazeera) -- Japan will invest $30bn in Africa over the next three years, Prime Minister Shinzo Abe has pledged at a summit in Kenya. 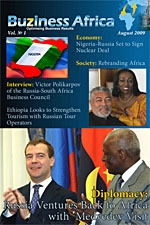 DOHA, April 10, 2016 (Al Jazeera) -- Last week, Japanese Prime Minister Shinzo Abe hosted Zimbabwean President Robert Mugabe for an official five-day visit in Tokyo. Abe has now met Mugabe three times, despite Harare's isolation from the West - and, more acutely to Japan - especially the United States. 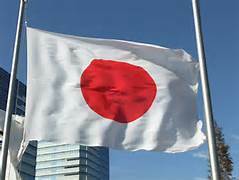 LAGOS, Nigeria, April 15, 2015 (Daily Trust) -- Japan under its programme, Japan's Grant Aid 2014, is to spend 8.5m US dollars for the construct of 30 Primary Schools in Oyo state, the project's Coordinator, Mr. Kazunori Ogaguchi has said. 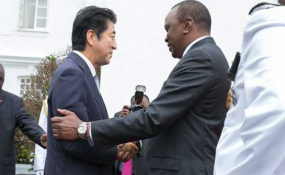 NAIROBI, Kenya, August 26, 2014 (The Star) -- The Embassy of Japan and the Japan International Cooperation Agency, JICA, will send off the 55 Kenyan youth who are going to study and work in Japan under the African Business Education Initiative for Youth, that is, the ABE Initiative. KIGALI, Rwanda, Agust 10, 2014 (The New Times) -- Agricultural productivity in the country could further be enhanced, thanks to a grant from the Japanese government. The financing agreement, worth $15 million (about Rwf10.3 billion), was signed in Kigali. The funds will support the development of an irrigation scheme in Ngoma District, the Minister for Finance and Economic planning, Amb. Claver Gatete, said. MONROVIA, Liberia, July 08, 2014 (The Inquirer) -- A twenty-four- man Japanese business delegation who visited the country recently to explore avenues for investment opportunities in the country has expressed interest in investing in the Buchanan Port.